A 32-year-old man who broke a court order was bound over when he appeared last Thursday at Banbridge Magistrates Court. William Derek McConville, whose address was given as High Street, Gilford, admitted breach of a non molestation order on January 10 this year. He was bound over in the sum of £750 to keep the peace and be of good behaviour for 12 months. McConville was also fined £100 and ordered to pay a £15 offender’s levy for resisting police on the same date. The court heard that the defendant’s ex-partner reported that calls and texts had been made to her mobile phone in breach of the non molestation order. 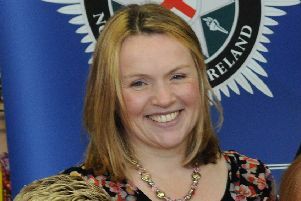 On January 10 police went to her home at Laurel Mews, Dromore, and they found McConville standing outside the address. He was cautioned but made no reply. McConville then resisted police and had to be taken to the ground. The defendant admitted being at the address in the early hours of the morning and that he was in breach of the order. He believed he was not threatening the injured party or her nine-year-old daughter. Mr Gabriel Ingram, representing the defendant, said McConville had been trying to establish contact with his daughter over the Christmas period. He explained that the defendant and his ex-partner had broken up about four months ago. Mr Ingram said McConville had been kept in custody for a number of days before he was granted High Court bail and that had been a salutary lesson for him. District Judge, Mr Peter King, said McConville had previous convictions but nothing remotely like these offences.